While there are many reasons to push for the development of 3D printing technology in space, the biggest reason is that shipping things to outer space is expensive – really expensive. According to NASA, it costs about $10,000 to launch a mere kilogram of cargo into low Earth orbit, and $100,000 to send that same load to the moon. To ship cargo to Mars, the costs become astronomical (sorry). Most experts agree that the only way to feasibly meet the much-talked-about goals of setting up bases on the moon and exploring Mars is to develop technology that will allow us to 3D print whatever we need right there, using the resources at hand. Figuring out how to do so is obviously a huge task, so NASA frequently reaches out to the larger community in the forms of competitions that challenge participants to come up with designs and technology that could feasibly be used in the exploration and colonization of the moon and Mars. Their most recent challenge, the In-Situ Materials Challenge, asked participants to come up with construction methods using native, or in-situ, surface materials to build structures on other planets, as well as on Earth. 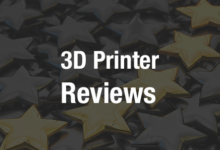 The winners were recently announced, and the top prize was taken by Dr. Behrokh Khoshnevis, engineer and professor at the University of Southern California, who developed no more than an entirely new 3D printing process. Unlike Contour Crafting, which is an extrusion-based technology that uses a paste-like material to build large structures one layer at a time, SSS utilizes powder to construct smaller objects like bricks, interlocking tiles, and a wide range of functional metallic components. Dr. Khoshnevis and his team developed the method using a synthetic material designed by NASA’s Johnson Space Center to simulate the gravel and soil found on the moon and Mars. By combining that material with high melting point ceramics such as magnesium oxide – also found on the moon and Mars – the team was able to print tiles strong enough to withstand the heat and pressure of landing spacecraft. According to Dr. Khoshnevis, the only way to further space exploration is to develop the capability of building roads, hangars, blast walls, radiation shields and landing pads on Mars and the moon, and the combination of his Contour Crafting and SSS technologies has the potential to fabricate both the large and small components needed to set up shop on another planet for an extended time. The next step Dr. Khoshnevis and his team, who were awarded $10,000 for their work, plan to take is to test the process in vacuum chambers at the Kennedy Space Center and USC’s Astronautics Rocket Lab. Going forward, they hope to partner with aerospace companies in the Los Angeles area to further drive the project’s development. You can read a full study on Selective Separation Sintering here. Discuss further too in the New 3D Printing Method forum over at 3DPB.com.